Educators seek to nurture a love for nature among college students. Nearly anyone who visits the Texas Nature Project near Mason gets introduced to a special live oak that’s heavily branched and thick with age. The simple experience — once an integral part of childhood — can be life-changing. These days, it’s rarely taught at home, either. Even worse, Theisen and her colleague, Jan Schultz, worry that young, mostly urban Texans, who’ve grown up indoors with computers and other electronic gadgets, will be ill-prepared to inherit a natural world they’ve had little to do with. With the goal of turning that around, she and Schultz — who’ve each worked in academics 20-plus years — have put together the Texas Nature Project, an outdoor learning center (where they also live) spread across a 100-acre former cattle ranch. Now managed as a wildlife habitat, Northpoint Ranch encompasses year-round springs, seasonal creeks, pink granite outcroppings and a rich diversity of native flora and fauna. For one full semester, Texas university students — housed in modest steel-framed dorms — live on the ranch and spend most of their time outside, studying under Thiesen, Schultz and other instructors. Curriculums — customized to dovetail with a student’s degree plan — encourage participants to ponder how their personal and professional choices affect the environment. “We immerse students in hands-on experiences, like how to build in sustainable ways, grow vegetables in a garden and use alternate forms of energy,” Schultz explains. “We live with the students. For educators to have a real impact on lives, it requires more than a few hours a day. As a summer intern this year, Murray Myers — a graduate of the University of St. Thomas in Houston — helped build the ranch’s green dorms. Like his two mentors in Mason, Myers sees a distinct disconnect with nature, especially among his peers. 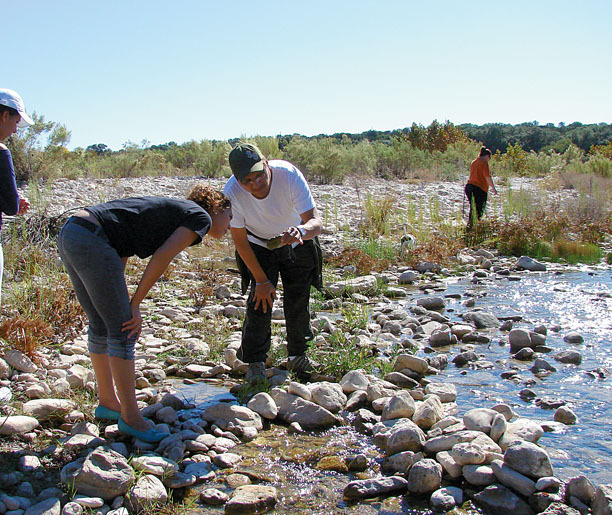 The Texas Nature Project also offers learning programs, photography classes, hiking and bird watching. 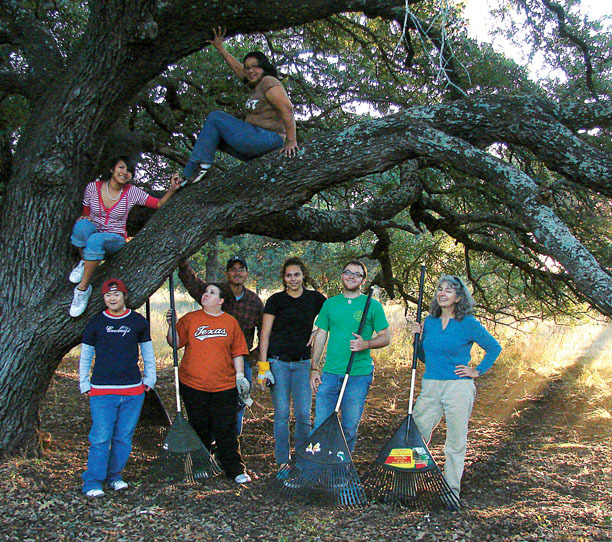 For more information or to request a student application, call (832) 878-4141 or visit www.texasnatureproject.org.